How Do I Ensure that the Text From the First Email Appears in Subsequent Emails? To keep all campaign emails in the same chain, you simply need to leave the subject line of every follow-up email blank. In this case, new emails will become a part of the same thread as the initial (first-step) message. There is no way to test it immediately, with the exception of adding your own email address to the campaign. 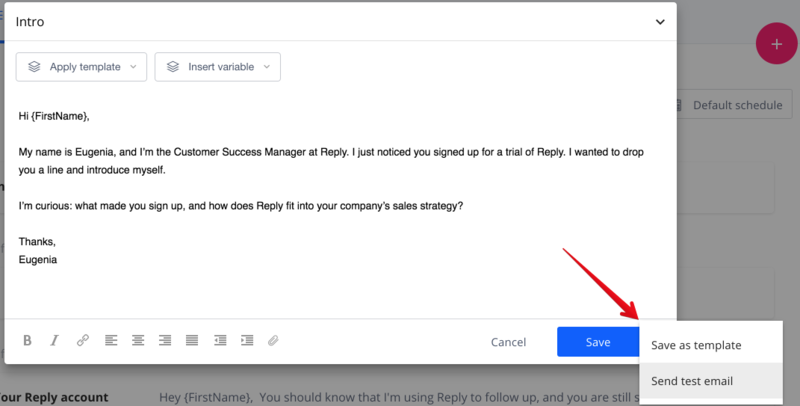 However, you can send a test email to your email address to see how the email template will look when it's sent to your recipients. Please note, that each template will be sent separately, not in a chain.